Discover the News Impact on Forex Market! Study the historical charts of more than 70 economic indicators and analyze the historical price action of more than 30 Forex pairs. Switch easily between the actual prices and the market movement calculated in pips. 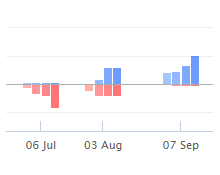 The essence of Spikecharts! 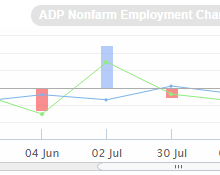 In a single chart you receive all historical, actual and deviation data for every news release, giving you all the knowledge you need. 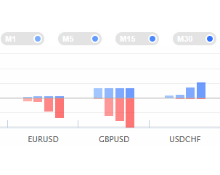 Easily compare pairs to instantly see which spiked the most over multiple time frames (M1, M5, M15 and M30). Use this information to understand how historical news releases affected pair price action. Data on more than thirty pairs is available for every single news release since 2010! Broad coverage of economic indicators from several economic regions. Stop switching between charts, as now you can compare two pairs, side by side, covering multiple time frames including tick resolution. 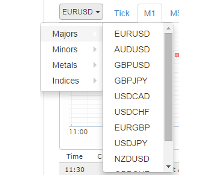 SpikeCharts provide historical Forex market data in the form of chart snapshots based around major economic news. 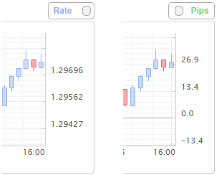 Forex traders can analyze several pair-performance charts and see how economic indicators affect Forex pairs. 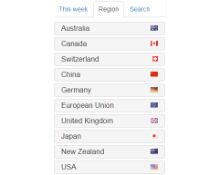 SpikeCharts is a valuable resource for every news trader.